Join us in summer 2019 for our Global Youth Leadership Programme. Over the course of two weeks, we provide students with an exclusive opportunity to study and learn in the oldest university in the English-speaking world, Oxford University. The programme is designed for students who want to develop a more global and international outlook. Our UK summer school comprises of modules in Business & Enterprise, Entrepreneurship, International Relations, Leadership, Negotiation and Debating. Students will also receive expert advice and guidance on upcoming university applications. 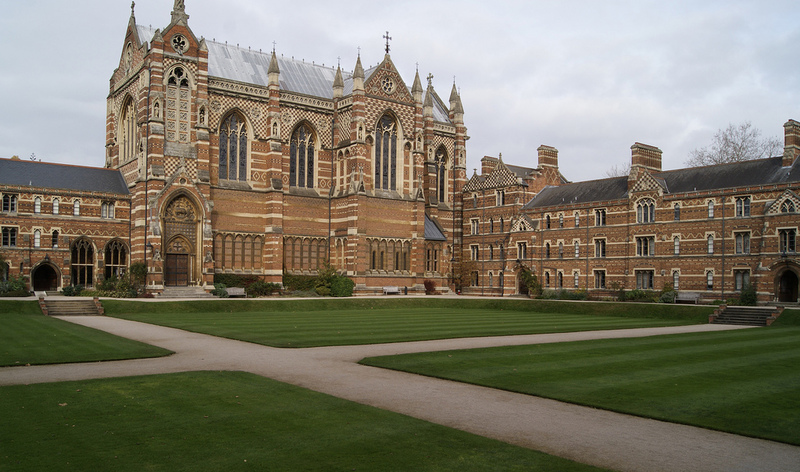 Why Study A Summer Course At Oxford University, England? World Class Academic Venues: Our UK summer schools are held at Oxford University thereby giving students the opportunity to learn, study, and experience the life of a university undergraduate at Oxford. Stand out from the competition: develop new skills and be introduced to new subject areas not covered in school. Draw upon your experiences and incorporate what you learnt into your university application. Make new friends and expand your network with other driven and ambitious students. Learn from our outstanding faculty, which includes former Members of the British Parliament, leading figures in British business and former top brass of the British military. Experience an exciting cultural programme to complement your studies. These include visits to the Houses of Parliament and the Bank of England. Our Global Youth Leadership Programme brings together various topics across Business, Entrepreneurship, International Relations, Leadership, Negotiation and Debating. Our UK summer school course is designed to provide students with academic classes in business and international relations with practical group activities focused on entrepreneurship, leadership, negotiation and debating. The course is perfect for those students that are considering applying to read Business or Government at university or for those who want to expand their horizons, gain exposure to the topics covered and develop their core ‘soft-skills’. In business, students are taught the main principles of finance, economics and business management. There will also be classes on business ethics, marketing, accounting and human resources. At the end of the course, there will be a competition to create a new business idea and a prize for the best Minimum Viable Product (MVP). In international relations, there will be a series of discussions, lectures and seminars that focus on the key issues faced by global leaders today and in the future. Students will be introduced to political theory, philosophy and contemporary politics and will examine the economic context of current affairs. Students will be introduced to challenges global leaders face and will discuss case studies of contemporary world leaders. There will be a strong emphasis on students developing their own responses to these challenges and defending their viewpoints in front of the class. On top of the academic classes, there will be skills-based workshops to improve and enhance each student’s presentation and leadership skills. Our Global Youth Leadership Programme is designed to help students develop their own academic ambitions and career goals. Attending our UK summer school is an excellent use of time over the holiday period, both in terms of expanding one’s knowledge on business, economics and international affairs but also in developing communication and leadership skills. Analytical skills, intellectual awareness, empathy, an appreciation for diversity, the ability to listen to other points of view, debating, independent working and negotiation are all skills that are required in a modern global leader. The Global Youth Leadership Programme encourages students to engage in a wide range of materials and issues, discuss and debate them with teachers and classmates and to achieve a deeper understanding of what are the main drivers affecting international relations today. Our UK summer school in Oxford is for ambitious, driven and intellectually curious students who intend to read business, politics or a related field at university. It is also designed for those who intend to have a career in business or politics (or a related field) as well as for those who just want to increase their exposure to international affairs and to learn about new topics not covered in school. The course is designed for students who have completed Year 12 (in UK system) or Grade 11 (in US system). However, students from other year groups who meet the course requirements are welcome to apply. The student experience is further enhanced by a number of guest lectures that we organise. The guest lecture is an opportunity for students to hear a ‘thought leader’ give a talk on a particular relevant issue. When Is The Summer Programme? 30 June – 13 July 2019. Accommodation is a comfortable single or twin room. Twin rooms are strictly between students of the same gender. The accommodation is used by Oxford University students during term time so you will experience what it is like to be an undergraduate at Oxford. There are bathrooms on every floor, usually one bathroom between two rooms, and some rooms are en-suite. The programme is overseen by the Programme Director who in turn is assisted by a team of counsellors who very often are full time staff members at Oxford University. The counsellors are there to look after the students pastorally, socially and culturally. The counsellors are the first port of call for any problems a student may have. We can assist with visa and immigration inquiries. There will be a coach transfer service from the Heathrow airport to Oxford. To apply for the UK summer school or for further information, please contact us.